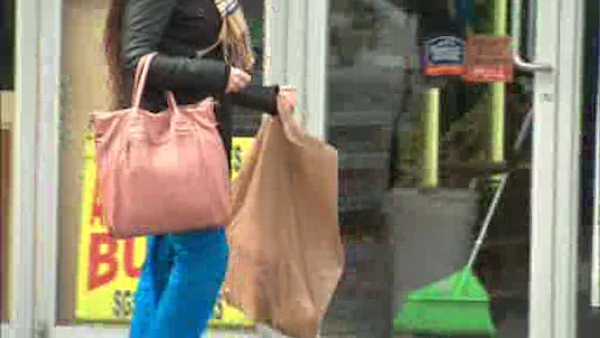 TRENTON, New Jersey (WABC) -- The state of New Jersey is now one step closer to charging shoppers a fee for plastic bags. On Thursday, a State Assembly Committee approved a proposal to charge customers five cents per plastic bag. If the legislation is eventually signed into law, stores would begin imposing the fee next year. The New York City Council recently passed a similar bill that has not yet gone into effect. Under the New York law, grocery stores could charge at least 5 cents for each plastic or paper carryout bag for customers who don't bring their own reusable bags.